Has their been a mid-season pick-up by a contending team better than the Brewers pick-up of C.C. Sabathia? 4-0 with 3 complete games. A WHIP of .848. 31 SO in 33 IP. 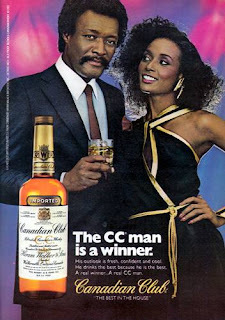 Damn, the CC Man really is a winner. Let's hear if for Eric Edhom at ProFootballWeekly getting it exactly right regarding the Jeremy Shockey trade. Here's a snippet. For all the talk about how athletic he was, how ferociously he played and how many mismatches he created, Shockey also produced like a No. 2 possession receiver for most of it. Over the past five seasons, if you equate his per-game average during that stretch for 16 games, you come out with 70 catches for 784 yards and six touchdowns. But even doing the 16-game model makes little sense because Shockey never has played a full season. Granted, he only has missed five games the past four seasons, but he was banged up for many of the ones he did play. Heck yes. The Giants were a better team without the baby on the field, a baby that didn't like to block, was always dinged up and who pouted when he didn't get a pass thrown his way. Goodbye and good luck Jeremy. I said it before and no that he's doing it, I'll say it again. If Jeff Samardizja provides the Cubs even a little bit of Joba-like energy and slamming-the-door-like relief ability, the Brewers and Cardinals are in trouble. How about Manny to the Dodgers for Matt Kemp, Joe Beimel and Clayton Kershaw? Just saying, the Sox get a young outfielder with potential, a lefty in the pen, and someone to groom to long relief and eventually start. And the Dodgers get a P-O'd Manny ready to prove something—in a contract year. Hey Dodgers fans, your team slugging percentage is .380. Go get Manny. Hey, as much as I respect Hideki and Jorge trying to gut it out this season....go home guys. Really, it's laudable, especially Manny didn't play against the Yankees because he had a boo-boo on his knee. But go home guys, get better and come into spring training healthy. You're not helping anyone now. And now, go see this. http://www.realclearsports.com/video_log/2008/07/melky_cabrera_waves_to_bleache.html This was Melky last week in the first inning fielding a base hit up the middle. Only as he's going to field it, he waves to the Bleacher Creatures, gets distracted and commits an error, allowing the runner to go to second base. Luckily, Darrell Rasner pitched out of the inning without any damage. Brilliant, Melky, just brilliant. Brilliant stuff. Just like Joe DiMaggio fielded center field, eh Melk? I just heard on the radio that Posada is going to have season-ending surgery. At least this decision was made before the trade deadline. Naturally, talk around here is a trade with the Rangers. Which makes sense as the Rangers have a major logjam of catchers in their minor league system, and have a couple in the majors who have been suggested for trade possibilities. How bout them Yankees? Pudge Rodriguez for a releiver no one really trusted. GOOD MOVE. Outstanding move. And all they gave up was Farnsworth. Truly awesome. That was a hell of a trade for the Yankees. A pretty spare pitcher for a past his prime Rodriguez, but he still hits for average, and is strong defensively. Hats off to them.